Kushner Convinced Trump To Lie About Arms Deals - Joe.My.God. He surely didn’t need very much convincing. President Donald Trump’s reluctance to hold Saudi leadership accountable for the brutal murder of Saudi journalist Jamal Khashoggi stemmed from an aspirational $110 billion arms deal between the U.S. and Saudia Arabia that was inflated at the direction of Trump’s son-in-law and adviser Jared Kushner, according to two U.S. officials and three former White House officials. 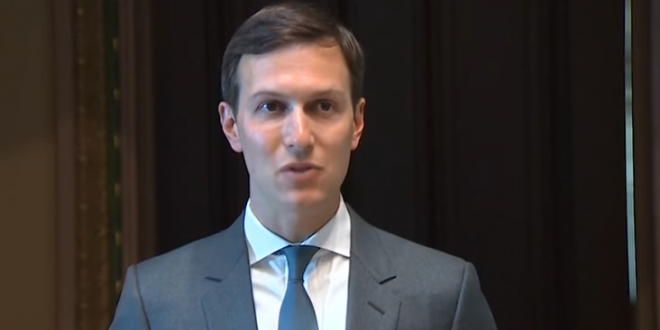 Another U.S. official said there was a back and forth between Kushner and Department of Defense and State officials on how to get to a larger number because the officials initially told Kushner that realistically they had about $15 billion worth of deals in the works. But even that order has not been fulfilled. Hit the link for more about the lies.